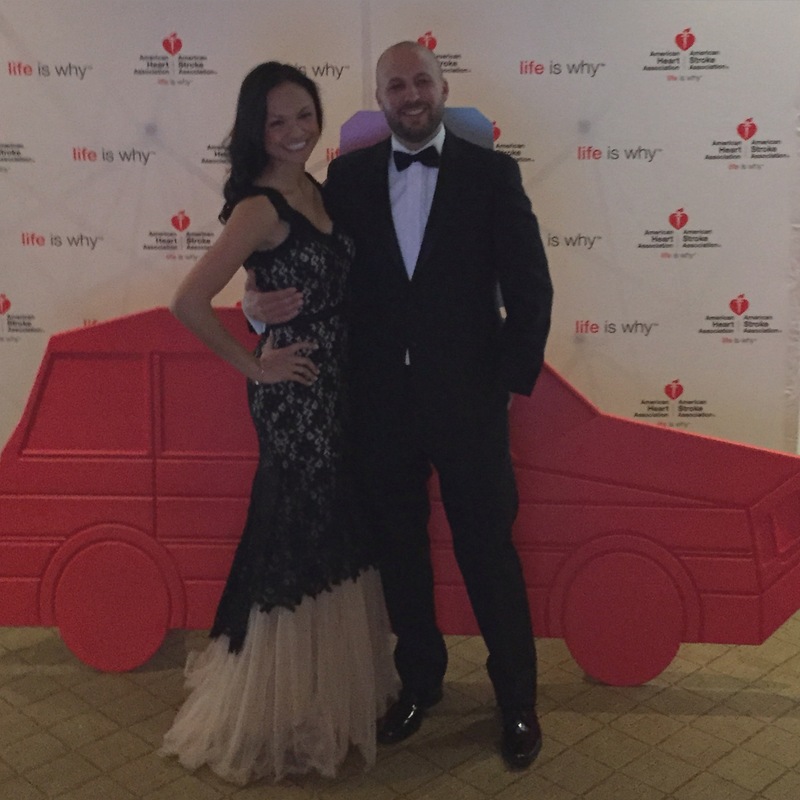 The first weekend of the month, I had the honor of attending the 2015 American Heart Association Boston Heart Ball. 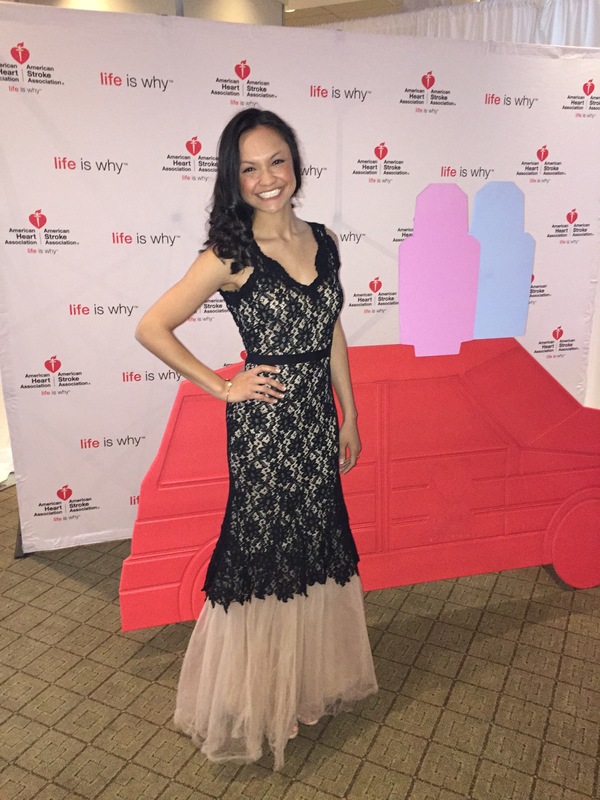 The event was a fundraiser to raise money for the American Heart Association and the American Stroke Association in support of their mission to build healthier lives, free of cardiovascular diseases and stroke. I had the opportunity to hear some amazing survivor stories at the ball as well as speak to some of the survivors that were present. I, of course used Rent the Runway for this black tie affair! Tip: I always have a series of dresses that are on my “must-wear” list also known as “hearts” on my app. It makes it so easy to select something quickly that I would like to wear rather than sort through the thousands of dresses under a time crunch. For this event, I decided to sport a Nha Khanh dress. I first wore Nha Khanh to my bridal shower last year and since then I was hooked. I love her style, design and sense of effortless beauty that accompanies her silhouettes. The Nha Khanh Noir Timeless Love Gown was absolute perfection. The detailing on the lace exemplified grace, was on trend, and I adored the pop of tulle at the bottom. 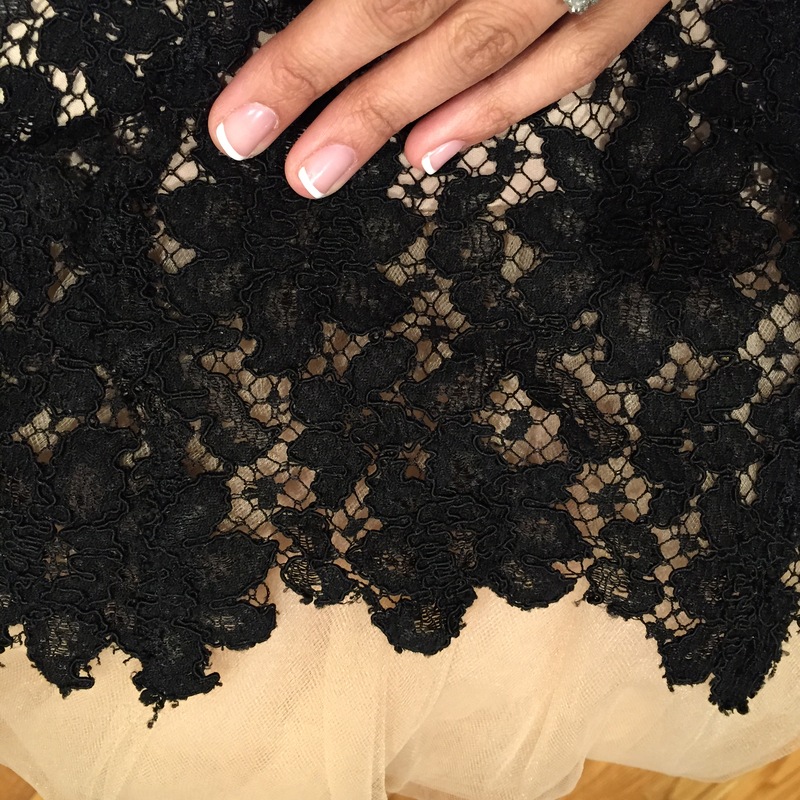 The contrast from the black lace to the blush fabric was flattering and the dress was extremely comfortable. The detailing is impeccable (see below). I was very happy with my choice and I was so sad that I had to send it back. I just wanted one more day to prance around in the dress even if I didn’t have another event to attend. It was a beautiful night with some wonderful people and for a great cause. I am blessed to have been able to attend such a prestigious event.